Take your LCA to the next level - calculate your circularity! What does Circular Economy mean in practice? How do we develop "circular products"? How can we take the first steps on the path from a linear to a circular model? Learn from our free online webinar how you can calculate the Material Circularity Indicator (MCI) for your products with the support of our GaBi Software. In line with the Ellen MacArthur Foundation’s methodology, you can easily take your LCA to the next level and quantify the circularity of your products and services. Our new tool can help you benchmark and communicate the performance of your products from the vantage point of circularity. 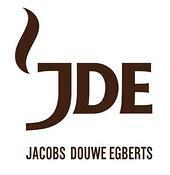 Jacobs Douwe Egberts is a global coffee & tea company, serving consumers in more than 120 countries through iconic brands including: Jacobs, Tassimo, Moccona, Senseo, L’OR, Douwe Egberts, Super, Kenco, Pilao & Gevalia. Jacobs Douwe Egberts supports global partnerships and origin projects to address the most challenging coffee & tea sustainability issues. JDE purchases certified and verified coffee & tea with internationally recognised standards such as: UTZ, Rainforest Alliance, Fairtrade and 4C. thinkstep is a leading provider of software, data and consulting services for product and corporate sustainability. thinkstep enables organizations worldwide to succeed sustainably. Our industry-leading software solutions, data and services help businesses drive operational excellence, product innovation, brand value and regulatory compliance. With a global presence in 19 countries, we serve more than 4,000 companies, including 40 percent of the Fortune 500, such as BASF, Hewlett-Packard, Interface, Siemens, and Unilever. Please fill out the form to download the recorded webinar. Thank you for your interest in our webinar on the new GaBi Circularity tool! Please click on the buttons below to download the webinar material.